The year of the Pig is a key year for your relationships, dear Rooster, both romantic or business relationships. As a Rooster you are are proud and honourable, confident and intelligent, used to being given gifts and honours. Such preferential treatment might not come easy during the year of the Pig. You will have to focus on building good long-term relationships before you can see the fruits of your investments. It’s important that you take advantage of opportunities while the going’s good. Act quickly and don’t prevaricate or you’ll miss out on a fantastic breakthrough. Don’t expect instant results. Share your ideas and work with others and be conservative with your investments to see financial benefit. This is a not a major year for love but it’s fantastic for building a good social network that will stand you in good stead in the future. Your health improves. Love for single Roosters: Single lady Roosters might have more luck finding love with a younger mate in the year of the Pig. Take some time to work through any psychological blockages you might have when it comes to love and relationships and love won’t be long in coming. Male roosters could well meet someone special at a social event. 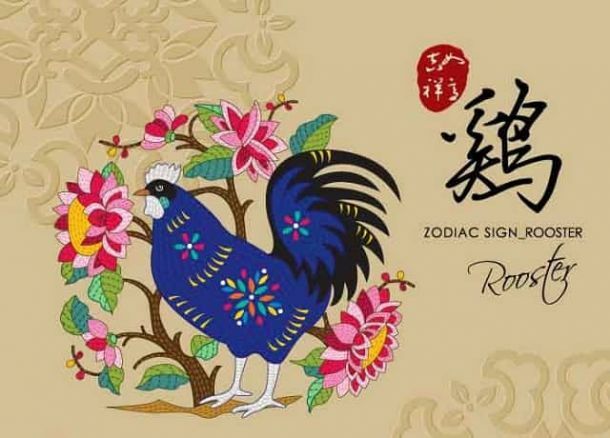 Love for coupled up Roosters: This is a year when you need to focus and work on your relationship. Spend time with your partner and make an effort to understand them, appreciate them more and take an interest in their activities. The Pig helps you deepen and strengthen your bond. Year of the Pig Forecast for you: The Pig urges you to work on your relationships, build trust and grow your social network. Money will come to you if you’re modest and make quick decisions. Don’t prevaricate!